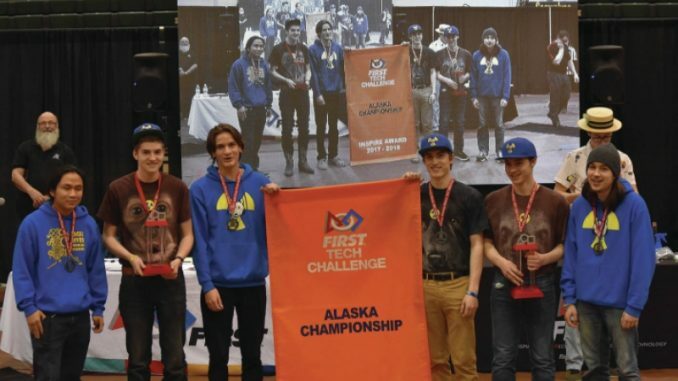 On Saturday, February 17th, 2018, three Eagle River High School Robotics teams — the Phantom Wolves, Cyber Wolves, & the Nuclear Wolves — appeared at the FTC Robotics Alaska State Championship at the University of Alaska Anchorage. Judging of the teams and their design process took place the day before on Friday, February 16th, 2018. The Phantom Wolves and Cyber Wolves went to great lengths to be able to just stand at the championship, unlike team number 9019, the Nuclear Wolves, who have won the competition the last three years in a row. For many team members, this was their last year of competition, as they are graduating seniors. The Nuclear wolves will be at Spokane, Washington for the First Tech Challenge north-west Super Regionals in March. 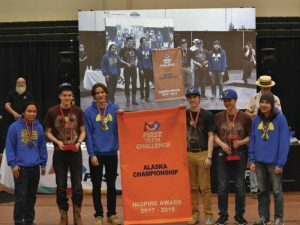 The team not only made it to Super Regionals but won the Inspire Award it is the highest ranked team in the entire state of Alaska. The team has also made quite a few appearances at Worlds in Houston Texas for 4 consecutive years. As you can see, our robotics teams are not ones to be messed with, especially the Nuclear Wolves. If you see them in the hallway in the coming week congratulate them as they prepare for the West U.S. Super Regionals on Thursday. Good luck to them from everyone at THE HOWL, and show them that Alaska is not one to be underestimated!